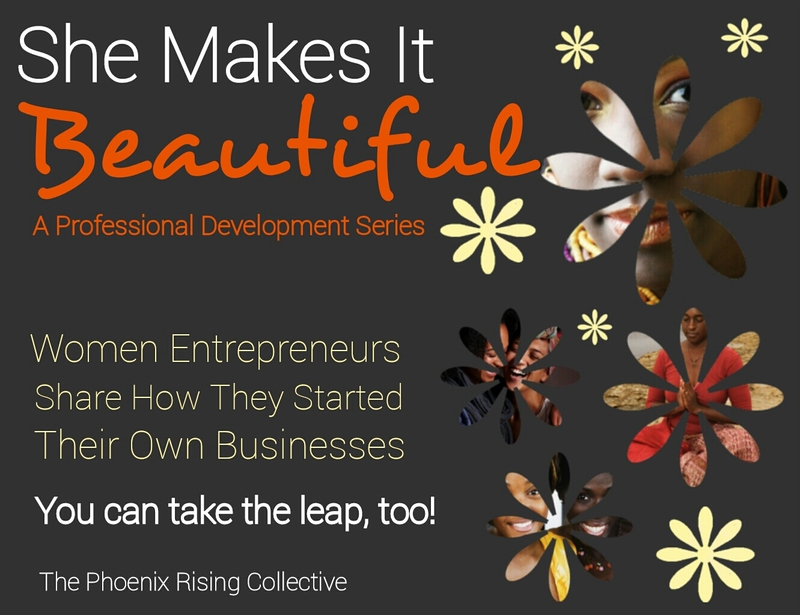 She Makes It Beautiful (SMIB) encourages and inspires women to follow their entrepreneurial dreams by interviewing and sharing the phenomenal stories of women entrepreneurs who’ve already taken that courageous leap and soared. We’ve asked entrepreneurs in diverse, creative professions to participate, and they were more than willing to pay it forward. From opening a dance studio to starting a bakery to grooming pets and everything in between, you’ll read the unique and empowering stories about how these women decided to just go for it. Don’t forget! Download your free SMIB Bonus Materials below. Use them as your personal toolkit to help get that dream off the ground. All bonus materials complement the advice and tips give by the entrepreneurs. 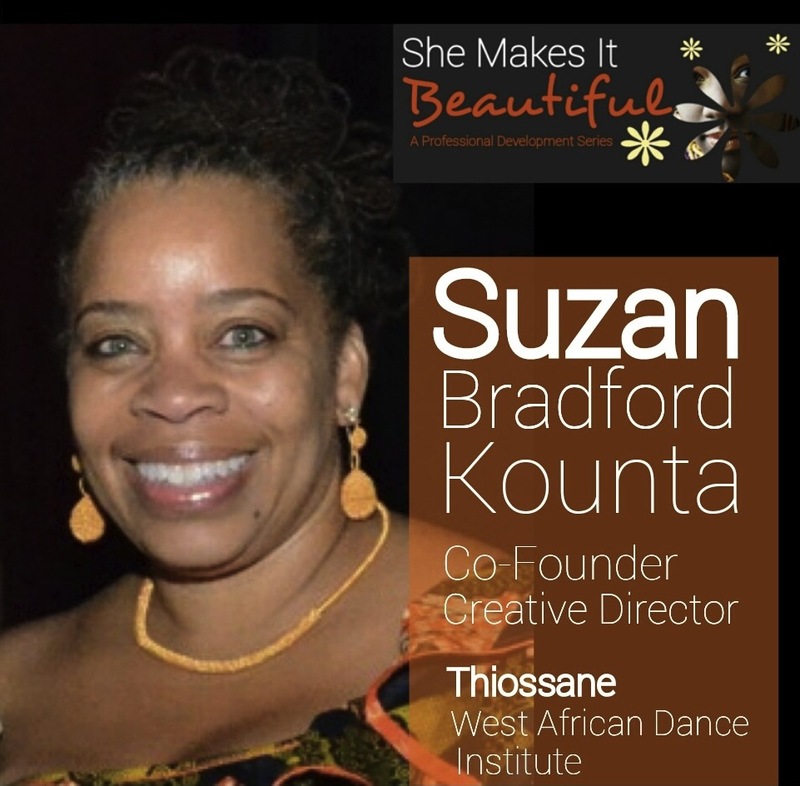 This SMIB interview is with Suzan Bradford Kounta, Co-Founder and Creative Director of Thiossane West African Dance Institute. 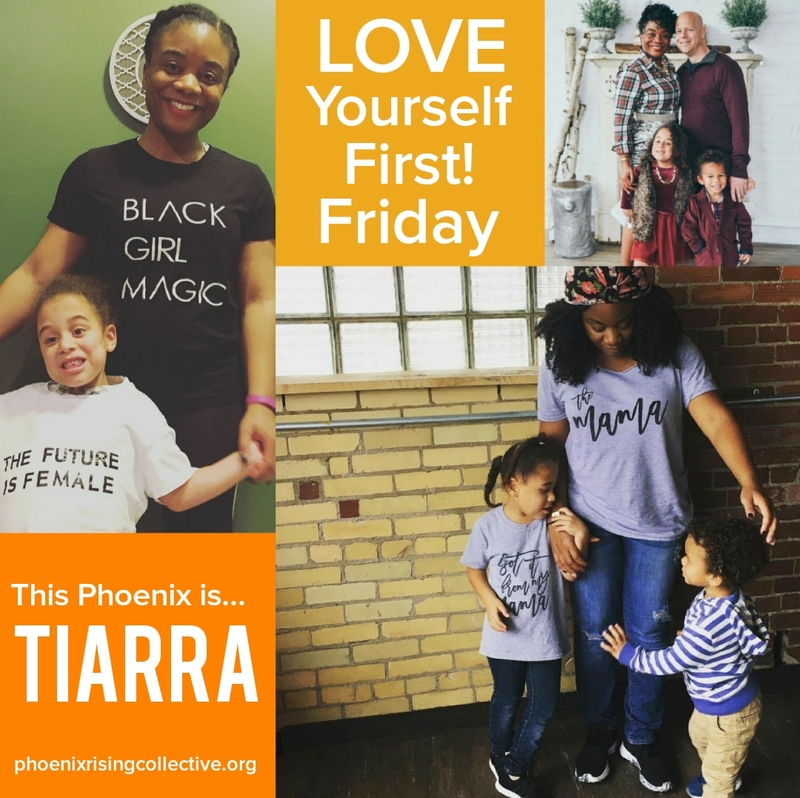 When and why did you start the Thiossane West African Dance Institute? Thiossane was conceived in 2000. However, I had been working toward its birth since 1990. My life experiences encouraged me to become a CEO, Chief Executive of Opportunity; I was directed to manage businesses in a creative and innovative way that blended the past and present. I wanted to create a career from my passion. I am fueled when I can provide or create opportunities that allow people to grow through their creativity. How did you know this is what you are meant to do with your life? When I learned about whom I belong to and who I am, it was very clear what I was supposed to do. My ancestors and mother were always an example of my purpose. My lineage found through my mother’s DNA reiterated my character, values, and beliefs. Everyday, I am reminded of my purpose on this earth. Everyday I am faced with challenges that propel me forward, even when it is a struggle. I was planted to prosper, and nurtured to endure and witness my accomplishments. I am humble and grateful always to be a vehicle for the greater good of people. What was the process like getting started? It was a struggle. My business was rooted in social services and the not-for-profit art world. It was not popular and people shunned the activity and were ignorant to the significance of the art form. I taught myself the nature of the business and learned through my jobs how best to grow it through the skills I acquired and the knowledge gained over the years. What is one of the biggest lessons you’ve learned from the process? I learned several, but the one that has provided longevity for me is to measure and evaluate from my own statistics. If I were to measure the success of The Institute to that of larger companies, I would have and should have failed along time ago. I believe wholeheartedly in what the Institute has provided for children, young adults, families, single moms, single dads, grandparents raising grandchildren, families who adopt outside their race, and people with special needs. Was there a pivotal moment when you recognized what you were doing would be successful? Because I have been nurturing this passion for 25 years all the while having an awesome supporting cast and great friends who are intelligent, passionate, and share in my likeness, I was able to align the mission and vision of the Institute into a place of upward mobility that is steady and strong. That coupled with nostalgia and innovation allowed multiple opportunities to grow our audiences and increase our revenue. Yes, by business standards, profits, profits, profits are the measure of success, but for the Institute, the number of people who are impacted by participating, engaging, or performing within Thiossane is and will always be our greatest success. I love that we empower young people through a set of values to govern themselves not only on the dance floor, but also, specifically, in their lives. These values will encourage and support their endeavors and will strengthen and provide resilience in their challenges. I love that people can dance and play music as if no one is watching, and I love the richness of the African Diaspora and how it is threaded through our daily lives – giving peace, harmony, and overall good feelings to one’s soul, to one’s spirit. How do you maintain a healthy balance in your personal and professional life? 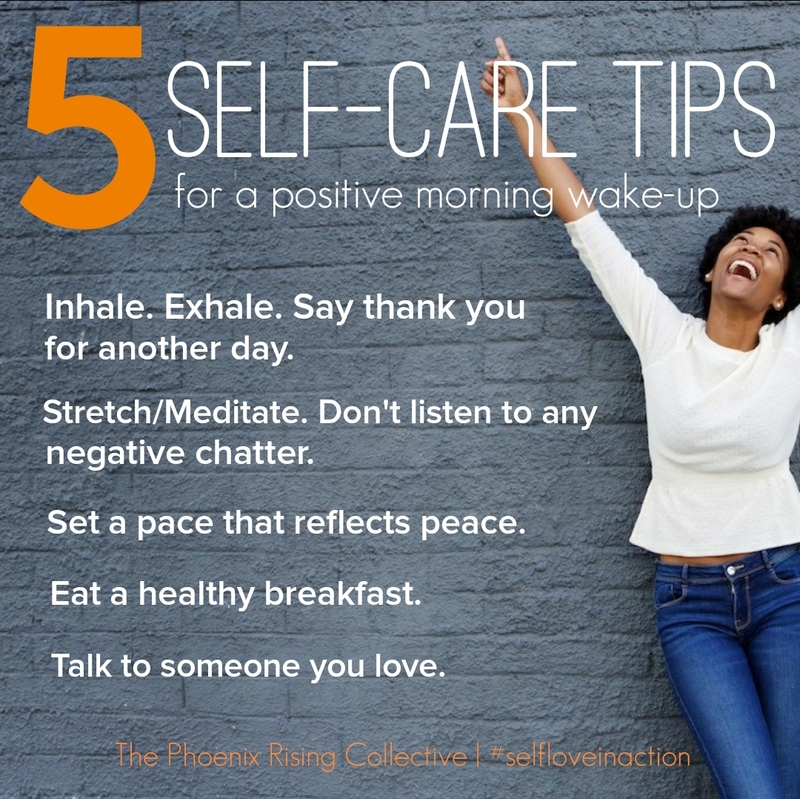 My maternal grandmother’s adage was “A Healthy Body is A Healthy Mind.” I was taught early to take care and manage myself, to exercise all my beings – mental, physical, emotional, and most importantly, my spiritual being. I taught myself to be selfish about my time and the energy I receive from others. Lastly, what advice can you give to women seeking to fulfill their own entrepreneurial dreams? Stay true to your vision. Be confident in what you know. Have your own measuring stick. Create a welcoming space for yourself – personally and professionally. Demonstrate due diligence in all that you do. Manage only what you can; slow growth is good growth. Protect your passion and ideas. Be happy in all that you do. Learn more about Suzan Bradford Kounta HERE. Tell us what you think, Phoenix! 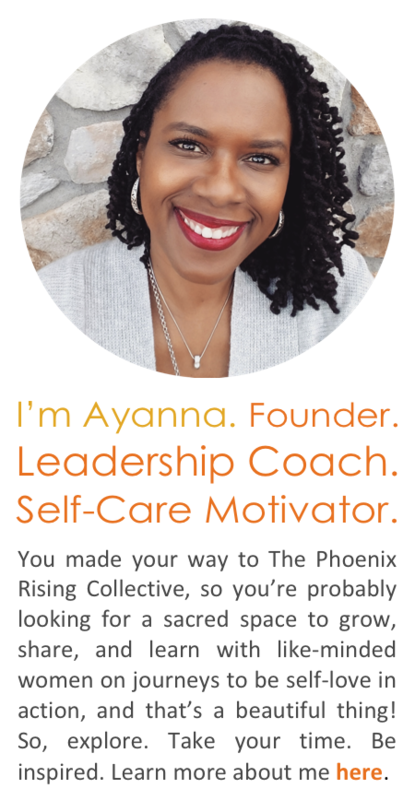 Categories: Professional Development | Tags: entrepreneurship, goal-setting, intentional living, motivation, Professional Development, professional growth, self-esteem, self-love, Susan Bradford Kounta, the phoenix rising collective, women entrepreneurs, women's empowerment | Permalink.